Known for having many benefits, including detoxification, relaxation, pain relief, weight loss, improved circulation and skin purification. Great for individual or couples sessions. We recommend a 30 minute session before your massage, facial or reflexology session for optimal benefits. 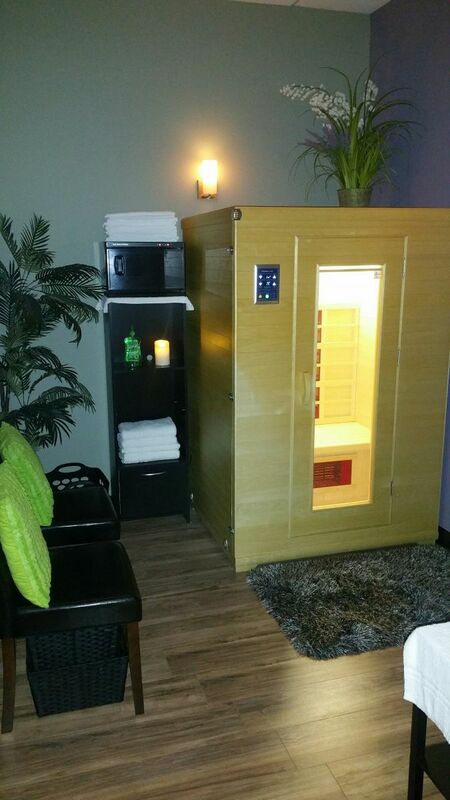 "Over the past few weeks I have been combining my massage therapy with a Far Infrared Sauna Detox Session. Taking this 30-minute “warm-up” phase has dramatically increased the effectiveness of the following massage. In addition to the deep tissue benefits, my skin is also showing signs of purification. Because the sauna provides a dry heat it was great to bring my phone inside to listen to my favorite relaxing music. I definitely encourage everyone to give this combination a try".